This course prepares you to take either the Certified Associate in Project Management (CAPM)® or the Project Management Professional (PMP)®. The difference between someones eligibility for these qualifications is experience. PMI’s Certified Associate in Project Management CAPM is a valuable entry-level certification for project practitioners. 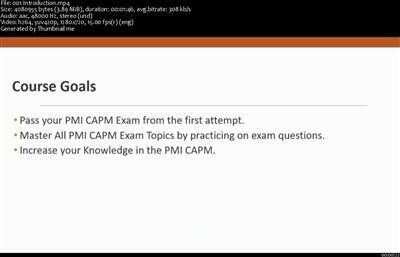 Designed for those with little or no project experience, the CAPM® demonstrates your understanding of the fundamental knowledge, terminology and processes of effective project management..